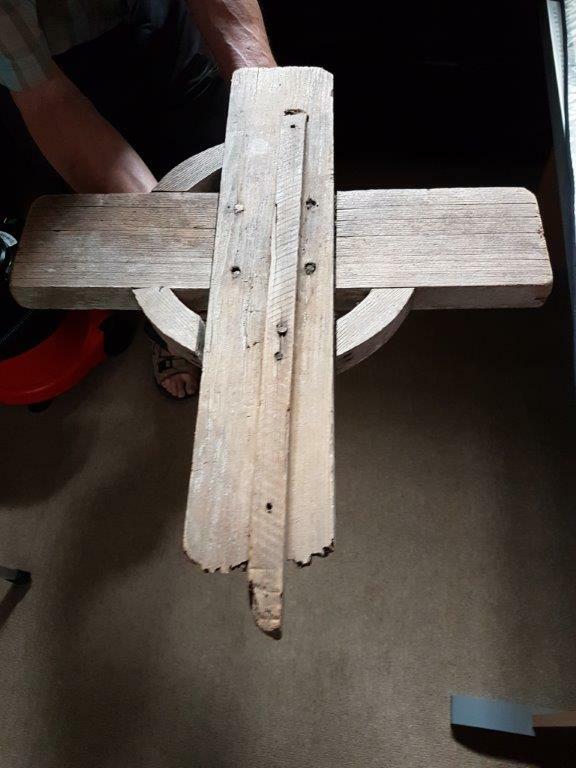 Mounting to wall: Kept safe in the vestry, awaiting a frame to allow display in the church. Condition (cracked, paint peeling, woodwork, damage etc): Top left circle plate gone. Bottom right section loose. Paint coming off in places. Delicate. 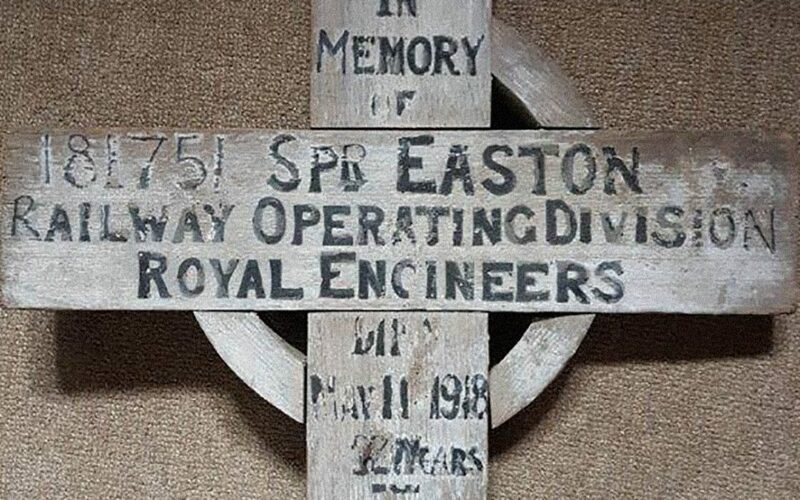 The age of death of Sapper Easton has been researched locally and confirmed as 28 but the cross appears to suggest 22. 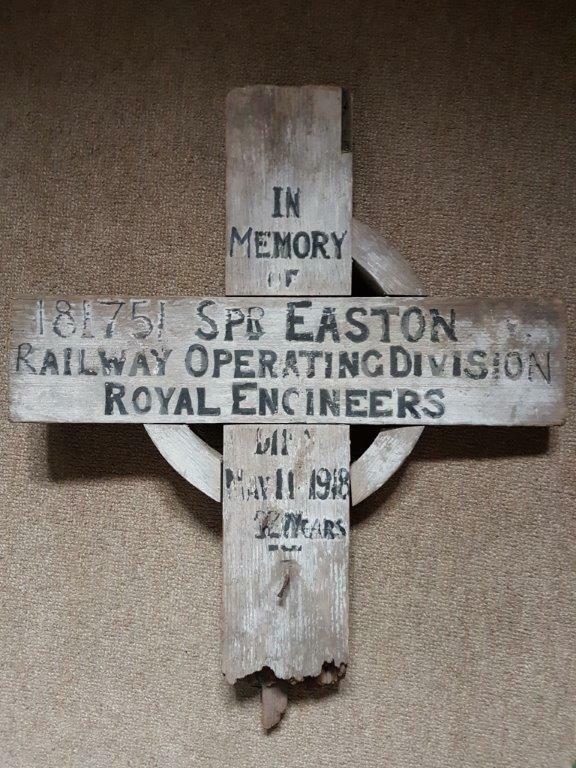 Sapper Royal Engineers Railway Operating Div. LES BARAQUES MILITARY CEMETERY, SANGATTE III. B. 6. Son of William and Elizabeth Easton, of “Coulmony,” Husthwaite, Easingwold, Yorks. Booking clerk employed on the Midland Railway for 10 years. Served at Rouen and Ypres.